Converting your layers into symbols is optional. When animating, you will need to enter the symbol to create a new drawing. IF YOU WANT TO USE MORPHING WHEN ANIMATING, KEEP YOUR LAYERS AS DRAWINGS AND DO NOT USE SYMBOLS. Once the breakdown is completed, you can create symbols out of each drawing. The symbol will encapsulate each drawing of the layer. 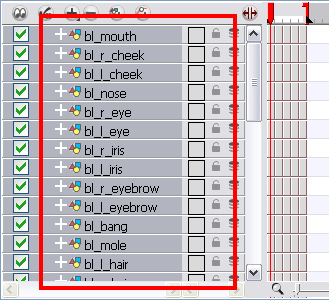 Later on, even if you only expose the first frame, such as the front head, you will still have access to all of the head drawings you placed in the symbol. This will also allow you to add more drawings, as your characters' master templates will evolve throughout the production of your movie or series. ‣ From the Timeline view, drag the layer to the Symbols library folder. ‣ In the Timeline view, select the layer to convert to symbol and in the top menu select Edit > Create Symbol or press [F8]. You can also click on the Create Symbol button available in the Edit toolbar. 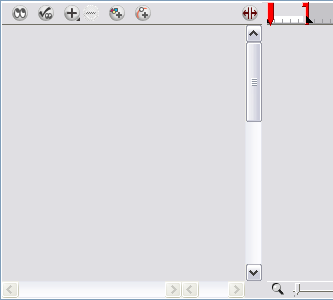 The Create Symbol dialog box opens. 2. In the Enter Symbol's Name field, type the new symbol's name. It is recommended that you keep your original layer's name. 4. Repeat this process for each layer in your Timeline view. Make sure that all of your layers are stored in the symbol library. All your layers should be stored in the library as symbols. 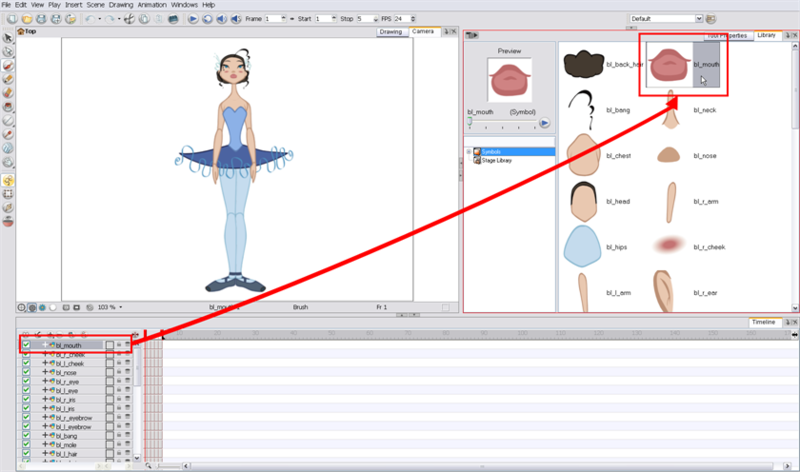 Before building your puppet, you will need to remove all of the current layers in your scene. All of your work is saved in the library. If you are not sure that you put everything in your library, you can always perform a Save As on your scene and work on a new version. ‣ In the top menu, select File > Save As. You can also click on the Save As button available in the File toolbar. 1. In the Timeline view, select all of your layers. 2. In the Timeline's Layer toolbar, click on the Delete Layers button. 3. In the Confirm Delete dialog box, click on the OK button to complete the operation. Your timeline is now ready to receive the body part symbols for the rigging process.